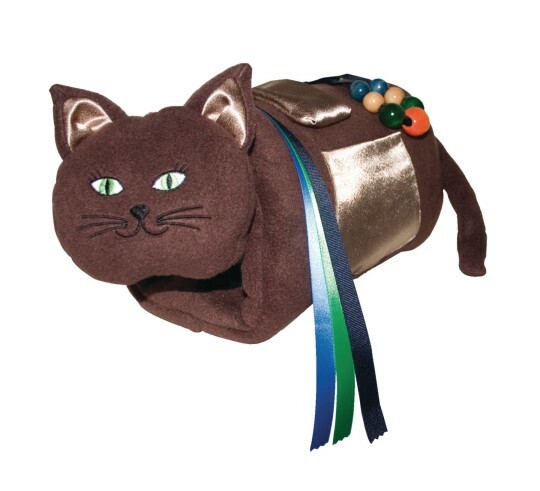 This wonderfully therapeutic muff will warm hands and double as a loveable plush cat that can comfort and calm agitated clients through repetitively tactile stimulation. Tethered within the center of the muff is a very soft, squeezable ball. 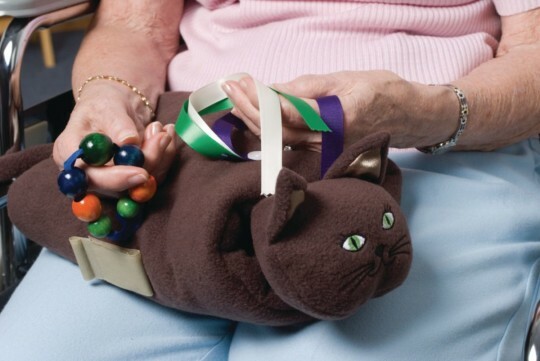 On the outside of the muff, there are three exchangeable gadgets that include a sealed satin bag of movable marbles, a strand of textured ribbons and a loop of colorful wooden beads which all offer stimulating hand activities. Hook and loop tab provides additional stimulating noise and movement. Machine wash and dry. It is well made and easy for clients to use. Pieces come off for machine washing. 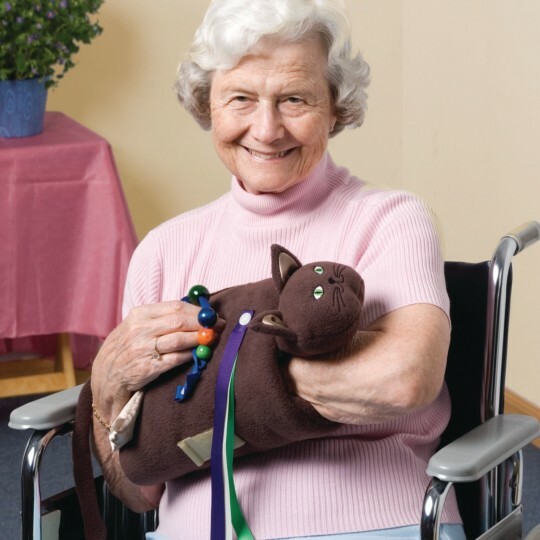 Overall we are very pleased with this item.It has been very helpful for one of my residents who has had a stroke and lost use of her left arm. The ball inside gives her something to hold onto with her left hand which incourages her to play with and squeeze. This also allows her other free hand to play with all the different textiles attached to the outside. Used with residents that need something to 'twiddle' with. Love this! Helps calm the Alzheimer's patient we purchased it for. All the peices are removable for washing. Very dignified alternative to some of the other busy aprons and busy toys available for the aging population. Have not used it yet but it looks great.